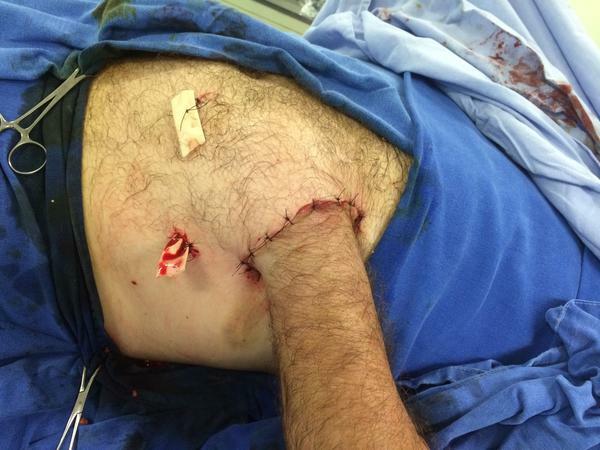 Surgeons saved a man’s hand from amputation after an accident, by sewing it inside his stomach. Yep, you read that right. His stomach. 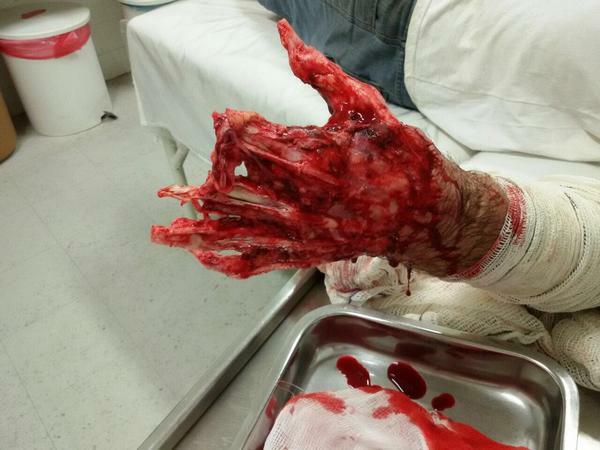 Former machine operator Carlos Mariotti from southern Brazil had all of his skin peeled away from his hand in a workplace accident in March 2016. 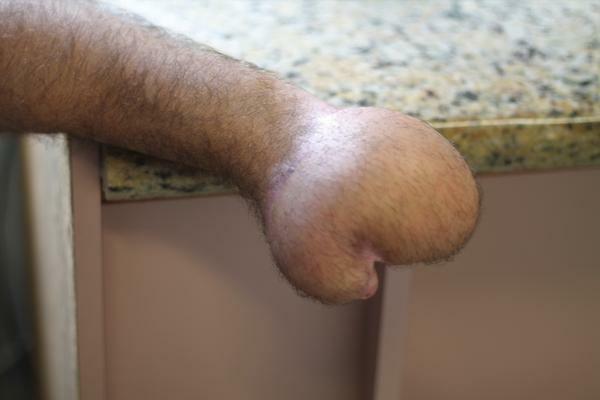 His left hand was so badly mangled that large sections of bone and tendons were visible. However, rather than amputate, Dr Boris Bandao decided to perform a surgery, allegedly the first of its kind. He decided to sew the hand into the soft tissue around his stomach, it stayed there for 42 days. Imagine having your hand stuck INSIDE your belly for 42 days. The cramp must have been unbelievable on top of his other injuries! Carlos said the pain he endured was unbearable, and the frustration at his situation caused him to explode with anger. It was a really weird sensation because I could feel my fingers wiggling inside my body. When I moved them around my tummy protruded as I prodded about. I was told by doctors to make sure I kept my hand pushed inwards and to keep my fingers moving so they didn’t seize up. 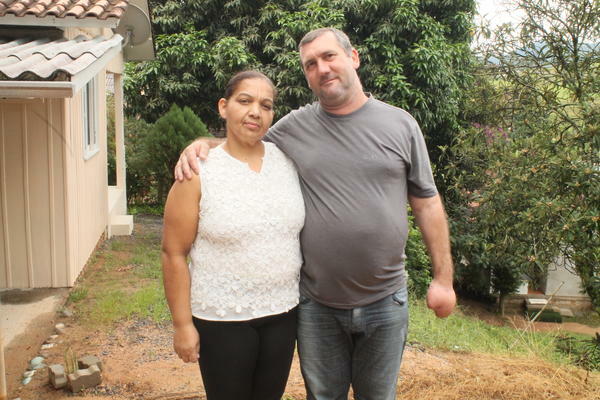 After the surgery and subsequent skin grafts, Carlos Mariotti now has a hand like a boxing glove and can perform basic tasks. His treatment is not quite finished yet, and he is scheduled for two more ‘trailblazing’ procedures to repair his nerve endings and separate his fingers to maximise use of his hand. The science behind the procedure is pretty amazing – the idea was to create a little sterile pouch where the hand could connect to a blood supply. I had never done this procedure before but I knew what was possible. We separated the skin from the abdominal muscles and created a bag inside and put the patient’s hand inside. Then we sutured and sewed it into the abdomen so blood vessels could connect and flow through and turn the abdomen’s skin into the back of the hand while the muscle beneath would become part of the hand. The 43-year-old is thankfully right handed, so he is not quite as incapacitated as he could’ve been. He has still been unable to work, and is struggling to make ends meet after his employer did not support him during his treatment, which was done by the kindness of Dr Brandao. To help Carlos Mariotti get his life back on track, click here.